We are happy to help you before your arrival to Istanbul, during the operation till you achieve the desired result. Airport, hospital and hotel transfers in Istanbul (flight not included). Two nights’ accommodation “very near to the hospital in Taksim – Istanbul” (just 2 or 8 minutes walking, and 5 min to Taksim Square as well), breakfast, SPA and WIFI included. The operation in Acibadem Taksim Hospital (Acibadem group is the best one in Turkey with 18 hospitals around it, 7 of them in Istanbul, many international medical certificates are accredited (JCI-ISO for example), "Acibadem Taksim" is the newest hospital in the best safe touristic area in Istanbul "Taksim"). All necessary blood analyses before the operation in the hospital. PRP treatment (treatment by Plasma). All necessary medications (Pain killers – Antibiotic - Anti swollen - Aspirin) with shampoo, lotion, exclusive cotton pillow and a hat. Translator during your medical journey (Note: all the doctors speak English very well). You only need to book your plane ticket at a date and time of your choice (better to be arranged to arrive Ataturk International Airport which is optimal in location in the European side of Istanbul) then send us a copy of your flight information so we arrange to meet you at the airport as well as arranging the reservation of the operation in the hospital and the hotel reservation. *kindly arrange the date of the operation except (Saturdays) & (Sundays) are our holiday, for your arrival you are welcome any time 7/24. Our medical staff is always working hard to stay updated on the latest researches in hair transplant field. We ensure that all operations are done in the operation theaters which have constantly stable temperatures to save the maximum transplanted grafts from harmful effects in sterile hospital environment. 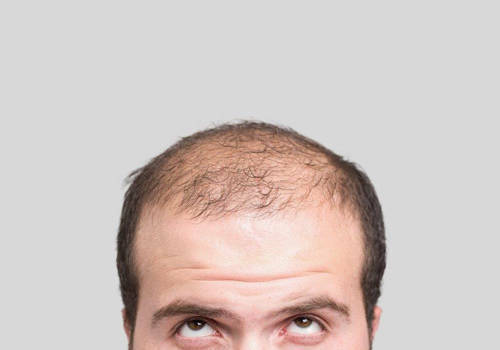 Our hair transplant operations are broadly defined by taking the grafts from the backside of the patient's head toward over the ears, then replanting them in the balding areas. The maximum possible number of grafts by Micro FUE technique will be transplanted from the donor area in one operation which lasts about 7 hours. Approximately about 4000-4500 grafts are removed without damaging the backside of your head. We make sure to stay away from exaggerated numbers. We are efficient and timely since if the grafts stay for a long time outside of the body they might be dead. The thick high-density donor area is important. Sometimes if the backside is weak, about 3000-3500 grafts might be transplanted. Please note that each graft gives about 2-3 hairs, in some cases even more, which means planting 4000 grafts will result in having 10000 hairs in the desired area. Using the pre-determined medicines then relaxing in the 5 stars hotel which is very close to the hospital. When can I expect to start seeing the results? - After 2 weeks the new hair might fall. That is normal and there is no need for worry. - After 3 months the new hair starts growing but with moderate results. - After 6 months you will start seeing good results. - After 1 year you will have the final and best desired result.